This was not a minor paperwork error, it was a serious corruption-related offense. The nine sites cited as available neglected to include vast open spaces on the main campus, which it clearly does not want to disturb in favor of destroying local landmarks. It also neglected to include empty, run-down and what seems to be deliberately neglected housing on the Smyth Fernwald tract near the main campus which once accommodated 74 families, a location with still operative dining room facilities. Nor did the list of available sites include the convenient Clark-Kerr Campus now housing 900 students with additional senior housing in buildings which are low-rise, and many of which are single story. The Clark-Kerr Campus has many neglected, run-down buildings and vast open space which the university is currently using to build sand pit volleyball courts, of all things, over neighbor' objections and in violation of legal agreements with neighborhood groups. People's Park is still governed by agreements signed in 1978 and 1979 to maintain the land as "educational and recreational" space, agreements which include including neighborhood and park user groups which have been shut entirely out of this discussion. I am not alone in our community in being terrified of having to endure more conflict over People's Park which in the not so recent past cost millions of public dollars as well as disrupting and costing lives. Please consider the many locations currently available for additional housing, and respect People's Park's landmark status and international renown. This month the University of California (UC) has issued a stealth Supplemental Environmental Impact Report (SEIR) for their Long Range Development Plan (LRDP) which contains the possible green light for seizing People's Park and building student housing. The clock for comments has already started and ends April 8 at 5 PM. This is a critical time for anyone who cares about preserving the Park or any of the other serious land seizures by the University to submit a comment in one of 3 ways which will follow. The SEIR is an expansion of the number of students UC said they planned to cram onto the Berkeley campus by 2020, which was 33,000. Presently they now have 41,000, a 25% increase over next year's goal. The SEIR states that they plan to have 45,000 by 2022, but seeing how poorly UC honors their own declarations who can say how many more students will be admitted. Anyone can understand why we are having a "housing crisis" and why UC is grabbing land all over town with the abuse of their eminent domain state powers….the seizure of citizens' property for a so-called crucial public use. People's Park was once a block of single story and apartment houses filled with students and Berkeley citizens. The Berkeley Council used to understand this and enforced an agreed limit of students if UC wanted to maintain a functioning relationship with the elected body. The present Council seems to have no interest in defending the rights of non-student Berkeley citizens and instead endlessly speaks of the need for more housing without ever acknowledging the huge increases in student numbers. The list of all the ways UC is already bilking the City is long. UC presently owns a substantial portion of Berkeley's taxable property…..taken off the roles which increases everybody else's taxes whether one is a renter or owner. A 15 year old study found the University was costing Berkeley taxpayer's $15 million a year after all generated funds and costs were calculated. UC has increased the portion of foreign students who are charged more but end up leaving less slots for tax paying residents for the state funded university. UC continues to be mired in major financial corruption and scandals with exorbitant perks . bonuses, retirement packages, slush funds and missing hundreds of millions of dollars. One can send a comment by email titled SEIR Comment to <planning@berkeley.edu.> One can mail a written comment to SEIR Comment - 300 Architects & Engineers Building - Berkeley Campus - Berkeley Ca. 94720 - 1382. An Open House is scheduled for Tuesday March 12 at 6:30 PM at the Alumni House on the Berkeley campus and will have a presentation and then allow comments on a microphone. We urge anyone who has concerns about People's Park or any other vulnerable space in Berkeley or just the total surrender to UC by the City to send a comment, as a big response could be critical. We also urge Folks to confront the Mayor and Council on why they are handing the City over to UC. Police did not say how they identified Greenberg as the suspect. It was unclear Friday if he had an attorney. Video of the assault went viral in conservative media circles. On Feb. 19, the day of the assault, the victim told police he was at a table for the group Turning Point USA when two men came up and started arguing. Chancellor Carol Christ issued a statement after the incident. "That sort of behavior is intolerable and has no place here," Christ said. Police said the Alameda County District Attorney's Office will decide whether to pursue charges. Copyright � 2019 by Bay City News, Inc. -- Republication, Rebroadcast or any other Reuse without the express written consent of Bay City News, Inc. is prohibited. The name is a confusing conflation of a number of different concepts: middle-size, middle-class, middle-income and more than a dash of Middletown. It’s one architect’s branding coinage for an idea submitted to last Tuesday’s Berkeley City Council meeting, with the YIMBYs’ blessing, by Droste and Kesarwani plus councilmember sponsors Ben Bartlett and Rigel Robinson. Daniel Parolek is an architect and urban designer who co-authored the book “Form-Based Codes,” coined the term Missing Middle Housing (www.missingmiddlehousing.com) and speaks and consults nationally on these topics. So…what is this proposal all about in the end, unframed? “Refer to the City Manager to bring back to Council a report of potential revisions to the zoning code to foster a broader range of housing types across Berkeley, particularly missing middle housing types (duplexes, triplexes/fourplexes, courtyard apartments, bungalow courts, townhouses, etc. ), in areas with access to essential components of livability like parks, schools, employment, transit, and other services..."
Don’t get me wrong: I love bungalow courts, courtyard apartments and small apartment houses, as well as multi-generational group houses and co-ops…and because I’ve enjoyed a long life I’ve lived in all of them at various points. But what’s wrong with the way this scheme is being introduced is a classic case of “solution first, problem second”. That’s a mistake I had ample opportunity to observe in my mid-life high tech career working with over-eager programmers. They showed me that it’s possible to design a very elegant scheme with many appealing bells and whistles which will crash and burn in an instant if the problem isn’t correctly defined from the get-go. “The idea of form-based zoning codes and of allowing residential subdivision in some areas is nothing new, though today it is dressed in new, largely false or misleading rhetoric. "The economics of a zoning change such as proposed are pretty simple in high demand markets such as this. “The price of a real property is, in effect, the replacement cost of the improvements (e.g. the building(s)) plus the price of the land. “The price of the improvements is determined by the costs of materials and labor. The price of the land in the case of the missing middle idea is determined by the level of demand. "Already from just that you can see that if the high-income demand for single family homes is strong enough, such buyers can easily outbid say, two potential buyers of smaller condominiums or four renters of very small apartments. “But it is worse than that. The conversion of a property from single-family to multi-family entails the destruction of some or all of the existing value of the single family home-- either through demolition or retrofit. Not only must condo buyers or a handful of renters outbid high income single-family house bidders, they must bid even higher to make up for the redevelopment costs. Again, this is unlikely in most cases. The authors of this proposal cite the very real history of racial bias in housing, which was present in Berkeley into the 1970s, as the justification for rezoning. But they need a refresher on the details of local history, since residential segregation here was mainly enforced by real estate salespeople and restrictive covenants during most of its duration, not by zoning. One example: On the District 8 block where my family has lived since 1973 and Councilmember Droste’s family now lives, BUSD teacher Chinese- American Ying Lee (later a councilmember herself) and her European-American then-husband Professor John Kelly were unable to buy the house they bid on in the ‘60s because of neighbor objections to her ethnicity, enforced by the real estate agents involved. Thanks to Arlene Slaughter’s real estate firm and others, that had changed by the time we got there. Now, about a half-century later, I’m happy to report, we have residents on this block descended from immigrants from Africa, Asia, Europe and for all I know Australia as well, and we have all kinds of housing combinations regardless of zoning. Ironically, there’s a very real risk that a plan like the one suggested by these councilmembers could have the most negative effect on the descendants of previous victims of racism. That’s because, as my correspondent pointed out, rezoning the previously red-lined areas west of Martin Luther King Way (formerly Grove Street) would increase over-all land price there, creating an incentive to tear down rent-controlled rentals and modest homes and replace them with new exempt “cash-register multiples”. And by specifying access to transit and excluding “very high fire severity zones” from rezoning you’ve pretty much left out the pricier parts of the Berkeley Hills. As the new version of the old saying goes, you can put lipstick on a pig, but she’s still not Madonna. With all due respect to my old friend George Lakoff, what this idea needs is not just better framing. What it needs is clear thinking, starting with a rigorous definition of exactly what problems we’re trying to solve. It’s not Berkeley’s job to become Silicon Bedroom to atone for the sins of Cupertino. We need to admit that BART is nothing more than a badly designed commuter train which doesn’t even work anymore. What we need is more housing down south near those high tech jobs accompanied by inexpensive housing served by effective short-run transportation around here for BUSD’s underpaid teachers and UCB’s poorly paid service employees and under-funded students. Yet in the councilmembers’ YIMBY Action discussion, they point with pride to their recent approval of 2190 Shattuck, another vulgar “luxury” building which if it’s ever built will be an energy sink and a blight on the landscape for 40 years. All the missing-middle rhetoric in the world won’t make up for that. Oh, and by the way, if you are foolish enough to listen to that tape, make sure to go all the way to the end, so you can catch the fervent encomiums of the councilmembers and their YIMBY hosts about Mayor Jesse Arreguin’s “leadership” in getting that bad building approved, praising his deviation from his previous campaign stance on this kind of development. If you’re not happy with the way things are going, considering the proposal has been postponed until the March 26 City Council meeting. Between now and then, let Arreguin and councilmembers know what you think of what they’re up to, and show up at the meeting to voice your opinion. Here's why they do it; it makes the homeowners and business owners pressuring against the RV community feel like something was done. Even if pointless, even if useless, even if heartless, something happened. A crank turned. The City Manager's office will whir with authority and fluff the detail, the City Manager's office will try to craft an elegant evasion of Martin vs. Boise, and the City Council gets to pose next to their RV permit process like a proud hunter standing by a dead bear. There always comes a moment in a city council meeting to generate more anti-poor laws where a single supporter alludes to the people who would have attended, who might have spoken, who could have far outnumbered the poor and voices on behalf of the poor. They were just too afraid to come, to speak, to represent their own interests and opinions according to this single voice. This voice always argues that the room is skewed unfairly toward opposition to laws that target the poor despite the poor in great numbers managing to muster the courage to come. The poor plead for common sense and against ineffective, expensive laws which commonly dog and doom the those without property and means to tickets, fines, and jail for simply being unable to pay sky-high rents. And it works. Mayor Arreguin leans forward, just as Tom Bates and before him his wife, former Mayor Loni Hancock, use to do. The mayor assures the poor law supporters, usually property and business owners convinced that the view out their front windows of streets they don't own should not include the sight of an RV, that they're heard and that their concerns will be treated with respect. The Mayor assures them that there is scrambling behind the scenes to move heaven and earth to accommodate their issues. They may not own the public streets in front of their businesses and properties, but they're reassured that they will be treated as if they did. And then comes the turning of the big, fake crank that proves that the council did something for the property owners tired of being surrounded by poverty. Berkeley may be among the top ten cities nationally for its income disparity, but dang it, that doesn't mean the well-off should have any visible evidence of same. The fake crank turns. Those insistent that any poverty or income disparity be invisible then feel their council representatives have done something. Any residual difficulty is just evidence of the depth of the problem, not the idiocy of the council, few of whom are unaware that anti-poor laws are a waste of money and time. Criminalization of the poor is not just counter-productive, it is really, really expensive. Note that the $13 million dollars of the public's money which was just recently spent on renovating BART Plaza to make it less likely that poor people will hang out on benches (and deliberately toilet-free), divided by the $20,000 per year this writer has managed to live on for decades would have gotten at least 650 people off the street for a year. But extremely costly idiocy appears to be what citizens of Berkeley are willing to embrace. The proof is the decades they have spent doing exactly that, and spending those decades watching their own public dollars going straight down the drain of this convenient political facade. Let's be clear. It takes creativity, resourcefulness, focus, discipline, and attention to detail to work within the strictures already placed on RVs (recreational vehicles) in the City of Berkeley, let alone keep your job while living in a tent. And it is most likely true that just as with tent cities, human waste is dealt with in inadequate ways, since the closest pumping station right now according to this recent city council meeting is somewhere in Petaluma. But it is also true that repeated speakers warned against providing adequate pumping facilities in the City of Berkeley for fear that people, rather than renting at exorbitant rates, would abandon any hope of finding a rental unit and create an even larger RV community. Ahhhhhh! While the majority of the Berkeley City Council listened to the voices of the RV community with glazed expressions, a few councilmembers exhibited clarity, concern, and creative policy. Councilmembers Hahn, Harrison, and Davila illustrated how simple it would be to offer immediate space in vacant properties as a safe harbor, and how counterproductive it is to tighten rules on a community already under strain. Hahn, Harrison, and Davila questioned the report presented to the council as a foundation for the proposed legislation asking pointed questions, noting the absence of commissions and relevant committees in the process, and raised hope that at least a little common sense rattles around on City Hall's fifth floor. But in the meantime, between 2:00 am and the break of dawn, RV dwellers will have to endlessly drive around. Because thanks to the necessity of a political facade, common sense and compassion will just have to wait. Both President Trump and President Madura are facing off moving towards a cataclysmic showdown. Mr. Trump’s veiled threat to the Venezuelan military to abandon President Nicolás Maduro or “lose everything” can only be interpreted as a pretext for military intervention. Yes, the military should abandon Mr. Maduro, who has guided one of Latin America’s richest countries to total ruin with a valueless currency, hyperinflation driving up food, medicine and other commodity prices out of reach for the average citizen. But it should not be America’s role to impose its will on Venezuela. History is replete with failed US military adventures–Vietnam, Iraq, Libya, the 17 year quagmire in Afghanistan. The offer of humanitarian aid seems completely out of character given Mt Trump’s admiration for the world’s strong men like Putin, General Assisi, Duterte, President Erdogan, Xi Jinping and his latest love, Kim Jong-Un of North Korea. Vice President Pence tried to gain European support projecting the US as a beacon of light with his recent visit to the European Parliament but the tepid reaction he received made clear the Europeans don’t buy a sudden burst of altruism from the White House. It is telling The United Nations, the Red Cross and other relief organizations have refused to work with the U.S. on delivering aid to Venezuela, which they say is politically motivated. Finally, Mr. Trump has expressed a strong desire to gain access to Venezuela’s oil which he said would be a huge bonanza to American oil companies. Michael Cohen, Donald Trump’s long time attack dog drew back the curtains of his boss’s sordid business activities and private life. His riveting testimony validated what most of us have long suspected. By his own admission Cohen threatened more than 500 people or entities at Trump’s behest. Trump had an early history of gaming the system, Clearly embarrassed by his school grades and SAT scores he instructed Cohen to ensure they be hidden from the public. In mortal fear of being sent to the killing fields of Vietnam, he conjured up a fake bone spur story to escape the draft. Cohen looked a broken man, sacrificing his integrity for the proximity to power but nevertheless deserves credit for appearing before Congress with full knowledge that he would be vilified and treated like a human piñata by the Republicans on the House Oversight Committee. Armed with documents to bolster his case Cohen accused his former boss as “a racist, con man, and a cheat who is fundamentally disloyal and a threat to democracy.” We should pay close attention to Cohen’s warnings otherwise we may be subjected to a Trump second term when he will continue to do irreparable damage to our nation, alienate our allies while cozying up to Russia’s Putin. With his stubborn denial of the ticking time bomb of climate change, he is clear and present danger to the entire planet. Republicans and Trump supporters time to take your head out of the sand and pay attention. Donald Trump, with his many criminal machinations, kidnapping of migrant children and unrepentant hate speech, deserves to be in federal prison. Yet for all that, with his hopes to prove a foreign policy genius on Korea punctured, Trump becomes a tragic figure. Trump floated the idea of negotiating an end to the never ended Korean War (something both Koreas’ leaders want) in exchange for Kim Jong Un ending his nuclear weapons program. It might have worked. What happened instead? Unbeknownst to Trump his own men, Bolton and Pompeo, joined the national security state leaders in blocking such a peace plan. Why? US finance and military interests don’t want the Korean war ended, reunification or the removal of US troops from South Korea even if it meant ending dictatorship in the North. As a more independent capitalist powerhouse, a unified Korea, would likely loosen US imperialism’s grip throughout East Asia. f you have ever gone to Cesar Chavez Park the day after the Kite Festival you will find lots used toilet paper under bushes, behind trees and on the grass and yet we allow this to continue year after year. I can’t imagine that a gathering of cannabis users would be any more inconsiderate of public health than the attendees of this festival. My dog and I stayed away from the park when Frankie Graham took it over for his religious/political rally because it upsets me to hear that. Frank and his peeps had their day in the park and me and Shadow went somewhere else that day. It was not a big thing for us to go to a different park that day and let them do their thing.I would hope that the few folks who are affected by smoke would choose one of the many other Berkeley parks for one day and allow a few hundred like minded folks to do their thing. When a psychiatric consumer becomes "noncompliant" they face massive forces going against them. The "system" is designed to funnel those who are uncooperative into conservatorship, or worse. We have many reasons why we are better off initially cooperating with the system, and then going farther than that--using the resources of the system to make things better for ourselves. When someone becomes medication noncompliant, a relapse is very likely. This seems universal. In the past thirty-plus years of exposure to fellow psych patients in the mental health treatment systems, I haven't seen any exceptions; going off meds will cause a relapse. I am uncertain about why--I would think a small percentage would be able to get by without medication. In some instances, a relapse of severe psychiatric symptoms will carry life-threatening consequences. The consequences of stopping medication against medical advice sometimes includes incarceration. You don't want that. In other instances, the relapse causes you to become gravely disabled. In the latter case, a rehospitalization follows, and this is followed, one hopes, with a gradual recovery. A quick recovery probably won't happen unless you're in your early twenties or younger. I've seen cops take away people who have "decompensated." The cops are not always nice about it. Not to knock law enforcement people--they have helped me numerous times. Yet, when dealing with a mentally ill person whose behavior may not make any sense, often police are at a loss concerning how to be compassionate. In modern times, mentally ill people frequently end up in prisons and jails. They may inadvertently commit minor offenses. It might seem more convenient to just lock people away, rather than trying to help them deal with and solve their problems, and then help them reintegrate into society. Often, those in charge of running society are tempted to seek the easiest and most convenient method of dealing with a psychotic, manic, or suicidal person. This is sometimes to incarcerate the person, and in other instances, to commit her or him into a long-term, locked facility. The above are reasons that a mentally ill person needs to be cooperative. After you have that learned, it is helpful to find yourself a niche in society. I suggest that you do something you love. It doesn't necessarily matter whether you are very good at it; if you love a type of work, you should do that. When you pursue that sort of goal, and if some level of success at it has a chance of being realistic, it will have numerous good ramifications to many areas of your life. In my twenties, my pursuit was that of repairing home electronics. I also worked at other jobs. In most of the jobs that I obtained, I ended up quitting in a manner that was unprofessional. This netted bad ramifications, and a lot of people criticized that behavior. However, there were some jobs that I stuck with, and at the time, this helped my life circumstances. Cooperating with psychiatric treatment is something you can do even as you defy the label being thrust on you. Defying the concept that your intelligence is below normal, is another thing that you can do in your partial defiance. If you take your medication and accept other treatment that the system is mandating, you nonetheless have the basic freedom to value yourself and act accordingly. Because in my twenties, I worked at jobs for more than ten years even after being labeled as schizophrenic, I have Social Security Disability Insurance (SSDI) and not just Supplemental Security Income (SSI). This allows me to get Medicare, which in turn allows me to accept treatment for physical and mental ailments, at a wider variety of places and not just at county-run facilities. When I was in my thirties, I finally gave up on conventional employment. I'd been taking heavy antipsychotics for a long time and decided that it was getting too difficult to be employed while maintaining this and other forms of treatment. Yet, my experience at working jobs, and my attitude of cooperation yet defiance, are things that stay with me, and that continue to help my quality of life be better than it would be otherwise. The mental health treatment system in conjunction with other mechanisms in society, and a psychiatric condition that necessitates treatment, are things we probably can't change. But we continue to have power over our own attitudes and actions. We don't have to accept the role of mentally ill idiot. We can do better. Being mentally ill, or being diagnosed as such, does not have to define us. Cooperating with the system is the biggest thing we can do to fight the system. When we cooperate, we maintain our basic liberty and maintain our faculties, this allows us to stand up for ourselves. This is something we would not be able to do if we were noncompliant and re-hospitalized on a repetitive basis. Jack Bragen's books can be found on Amazon. On February 17, Michael Cohen, the ex-attorney and fixer for President Donald Trump, persuasively testified before the House Oversight and Reform Committee assailing Trump as a “racist,” “con man,” and “cheat." Republicans claimed that Cohen lacks credibility because he has been convicted of lying to Congress and faces jail time. Remember, however, that Cohen lied on behalf of Trump. Whereas, Trump has lied over 8,000 times and counting in his first two years in office and committed other egregious acts, and, as yet, faces no jail time or impeachment. Who is more credible, Cohen or the Congressional Republicans still in lockstep support of Trump? My money is on Cohen. Poor Donald. The stage was set, the agreements confirmed, the papers already printed and waiting to be signed, and he winds up turning his massive back on Kim Jong-un's pudgy front, and walking away from a potentially history-making Deal. Pundits immediate went to work trying to suss out what went wrong. Trump's focus was fractured, for one thing. The Donald admitted he had taken some "executive time" during the intense meet-up with Kim—abandoning the nuclear negotiations so he could watch the live broadcast of Michael Cohen's House intelligence committee testimony. This might have left Trump unable to concentrate of the business-at-hand. Surely watching his former right-hand-man calling him a "racist, a conman, and a cheat" may have left Trump feeling a bit imperiled. After watching Cohen's testimony, Trump approached the North Korean leader to ask for a favor and flew off in a huff when Kim refused to offer him political asylum. On February 26, KCBS afternoon newsperson Melissa Culross went on air to inform the Bay Area that: "Donald Trump is now on his way back to Russia." Quickly adding: "Excuse me . . . . The US." Donald Trump claimed he was "proud" to "take the mantle " for shutting down the government. This unprecedented, authoritarian act caused crushing economic chaos—especially for 800,000 federal workers. Since Trump has claimed "ownership" of the shutdown, he should be held liable for the consequences, including reimbursement of the $3 billion in "unrecoverable losses" he inflicted on the country. This could become a precedent to prevent any future presidential actions that would result in clearly predictable economic damage to the nation. Donald Trump said he was "proud to shut down the government" but the Congressional Budget Office reports that Trump's 35-day shutdown left the US Treasury with an "unrecoverable" loss of $3 billion. Ask Congress to enact legislation calling for Trump, a self-styled-billionaire, to reimburse the Treasury in full for the $3 billion loss. A Swab for the Dubs? "Win Warriors Tickets! Get your cervical cancer screening test during the months of February and March and be entered into a raffle for a chance to win Golden State Warriors tickets." I pulled a puzzled expression and pointed to the sign to see if any other passengers thought it strange. A young woman just laughed and replied: "A pap smear for the Dubs? Sounds like a good deal to me!" During a layover in Panama City en route to Colombia, I popped open my laptop inside Tocumen International Airport and attempted to connect to the Internet. The promise of "free wi-fi" came with conditions. There were two ways to link in. Travelers could (1) register with a local wi-fi provider or (2) donate blood to a local blood bank. A notice explained that the offer was limited to passengers 18 and older. Sorry kids, no online Vampire videogames for you on this trip. It's no secret that the Holy Bible is filled with unholy acts and bizarre behaviors but hard-core evangelists might be flustered to discover that King James of England—the fellow behind the translation, editing, and revision process that produced the King James Bible—was openly gay. Several years ago, I happened upon a portrait of King James that raised my curiousity and a Google search left me google-eyed. Turns out it was well-known at the time. The monarch's subjects openly shared a common joke that proclaimed: "Elizabeth was King: now James is Queen." 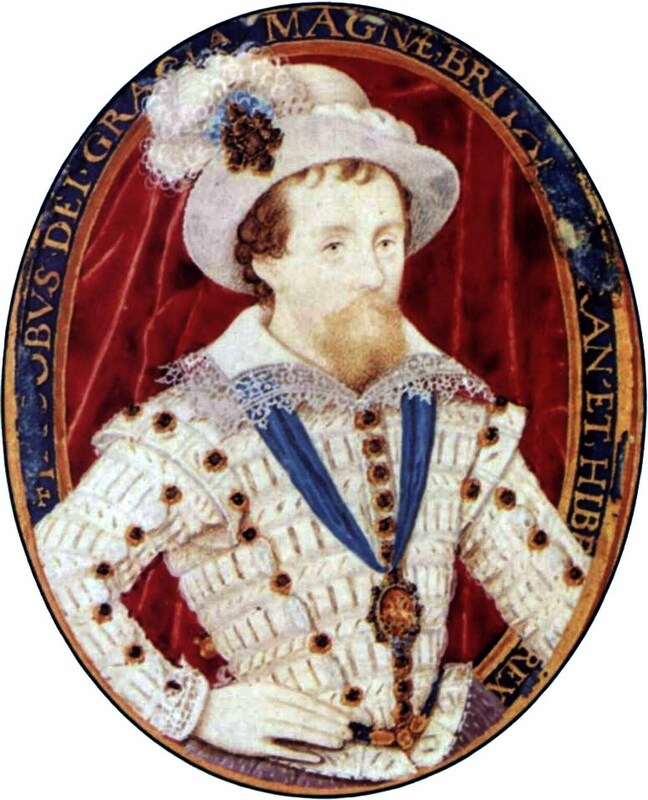 It turns out the familiar nursery school rhyme, "Georgie, Porgie," was a veiled reference to King James's young consort, George Villiers, the 1st Duke of Buckingham. There were even passionate letters twixt King-and-Duke. In one, King James wrote: "I naturally so love your person, and adore all your other parts . . . ." And appealed to: "my sweet child and wife [to] grant that ye may ever be a comfort to your dear dad and husband." Villiers penned similar notes, including the following: "I cannot now think of giving thanks for friend, wife, or child; my thoughts are only bent on having my dear Dad and Master's legs soon in my arms." And the monarch once dispatched a letter to the young Duke that declared: "Whether you loved me now . . . better than at the time I shall never forget at Farnham, where the bed's head could not be found between the master and his dog." So repent, thou gay-bashing preachers of intolerance! Stop Using the Word "Growth"
In 1988, Edward Abbey famously observed: "Growth for the sake of growth is the ideology of the cancer cell." Ann Pettifor, a fellow of London's New Economics Foundation, has an even stronger position on the term. "Please, never use the word 'growth,'" Pettifor pleads: "It was a word that was invented as recently as 1967 by a man called Samuel Britain and the OECD [Organization for Economic Co-operation and Development]. It wasn't in use before that." Every time you use that word, Pettifor scolds, "you're buying into a neoliberal concept, which is dangerous." According to Pettifor, economists used to express concern about the "level" of employment or the "level" of productivity. But the OECD came up with the idea that the economy should "grow by 4 percent" – i.e., to grow beyond its capacity. This path lead to debt and inflation, "for which the unions were blamed." It's fine to talk about "more employment," "more productivity" or "higher incomes," Pettifor says: just "don't use the word growth. In 1968, the Club of Rome came up with the concept of "degrowth." In 2009, Earth Island Journal minted a new term to counter neoliberal gtowth-based economics. The word was: "Shrinkth." Recent years have seen a flowering of catchphrases and popular movements all crafted to nudge us toward a less cataclysmic end. Among them: Small Is Beautiful. Power Down. Simple Living. Global Footprint. Carrying Capacity. Less and Local. Locavore. Green New Deal. And, of course, there's still that golden oldie: Zero Population Growth. Speaking of the English language, did you know there are a few rare words that have exactly opposite meanings? An example? Take the word "sanction." Depending on the usage, the word can mean either "permission" or "denial." You can sanction someone for bad behavior. You can also sanction someone to do whatever they please. Such words are called "contronyms" (also known as "contranyms," "auto-antonyms," "antagonyms," "enantiodromes," "self-antonyms," "antilogies" and "Janus words"). "Oversight" can mean "supervise" or "overlook." "Left" can mean "left for somewhere else" or "left behind." "Dust," as a verb, can mean to cover with dust or to remove dust. According to the website MentalFloss, there are 14 such words, including: seed, stone, trim, cleave, resign, fast, off, weather, screen, and help. Well, I think I've found a 15th word: "Forge." "Forge" can mean to build something honorable —i.e., to "forge a respectable career"—but it can also describe an act of deceit—to "forge a document." Anyone have any other antagonyms? It wasn't the kind of pop-up ad you would expect to see while tuning into the NBC Nightly News, but there it was—a fund-raising appeal from the Trump/Pence 2020 presidential campaign. A photo of Trump (with two thumbs raised) was paired with a donation square listing suggested contributions ranging from $35 to $2,700 to "Other." Do you trust MSNBC to fairly report on our presidency? Do you believe that the mainstream media actually cares about working Americans? Do you trust the mainstream media to tell the truth about the Republican Party's position and actions? On which issues does the mainstream media do the worst job of representing Republicans (Select as many as apply): Immigration. Economics. Pro-life values. Religion. Individual liberty. Conservatism. Foreign policy. Second Amendment rights. Do you believe that the media purposely tries to pit Republicans against each other in order to help elect Democrats? Do you believe the media is engaged in a witch hunt to take down President Trump? The survey is an ingenious—and disingenuous—propaganda tool. It pretends to be interested in people's opinions but its line-up of leading questions is actually designed to instruct the participants what to think—about the media, about the Party, and about its fact-challenged leader's Reign of Error. Do you think that Trump is unfit to be president and should be removed from office? If so, you might like to join a CREDO-hosted conference call with Rep. Rashida Tlaib and Alexandra Flores-Quilty from By the People. The goal: "to lay out the political landscape and what's at stake in this moment, why impeachment is important, and what our plan for action is." When: Thursday, March 7: 5 pm PT. Note: There's only space for 10,000 callers, so you'll have to RSVP by clicking here to get an email with notes about how to call in and a recording of the call after it's over. And please: Don't everyone talk at once. I’m not easily given to nominating anyone for Best in the World. But I have to admit that the thought crosses my mind that the Takács Quartet may well be the best string quartet we have today. I can recall, however, the great Budapest Quartet of the 1950s, the wonderful American quartets of the same period like the Fine Arts Quartet and the Juilliard. But when it comes to today, especially among string quartets we get to hear regularly in the Bay Area, I find the Takács Quartet almost unrivaled, at least since the beloved Cypress String Quartet suddenly disbanded a year or so ago. Lately, the Takács Quartet has given us ample proof of their mastery in two weekend concerts at Berkeley’s Hertz Hall. In last week’s edition of these pages, I reviewed their February 24 concert. Now I’m reviewing their March 3 concert, the last in a series of two. For this concert the program consisted of Haydn’s String Quartet in G Major, Opus 76, No 1, Bartők’s String Quartet No. 6, and Mendelssohn’s String Quartet No. 6 in F minor, Op. 80. What these quartets have in common is, above all, that they are late works in the lives of their composers. Thus, they offer us a chance to hear what a lifetime of experience had taught these composers about writing string quartets. In this respect, Franz Joseph Haydn is a particularly revealing case in point. Haydn wrote his Opus 76, No. 1 quartet very late in life, at a time, in fact, when he was also composing his very last work, the ambitious oratorio The Creation. His final symphony, No. 104, was already two years old when he began composing his Opus. 76, No. 1 string quartet. What we find, therefore, in this work is a distillation of everything Haydn had learned both from his own earlier string quartets and from those of Mozart, who died five years before Haydn’s six Opus 76 quartets of 1796. Haydn’s Op. 76, No. 1 quartet opens with three chords, after which the cello, here magisterially played by András Fejér, introduces a theme immediately taken up by the other instrumentalists. What ensues is a spirited Allegro full of brio. The second movement, a lovely Adagio, opens with cello and first violin trading lyrical themes. Here the umber tone of András Fejér’s cello is contrasted to the bright, clear tone of Edward Dusinberre’s violin. The third movement is a Menuetto, at least in name, though Haydn turns it into a Scherzo that anticipates much of what Beethoven would later write in the way of assertive, even aggressive scherzos. And in the middle of this Scherzo, Haydn offers us a surprisingly clunky country dance tune. The Finale begins in a minor key but gradually modulates to a major key as it offers a beguiling song. Then the music speeds up, pauses for pizzicato moments, then rushes onward to the finish. The quartet opens with a solo lament by viola, here gorgeously played by Geraldine Walther. Then all join in as the music turns agitated and obsessive. By the end of this first movement, a lyrical high point is reached, followed by a peaceful close. The second movement, marked mesto (sad, in Italian), like all four movements, opens with a cello solo, beautifully performed here by András Fejér. Then the music launches into an ironic march and a parodied military tune. Here a central section features pizzicato from the viola, while the cello offers a wild folk-inspired tune. As the march returns, we note a kinship with Mahler’s sardonic march tunes. The third movement opoens with another lament, followed by a burlesque of the march theme. The final movement opens with a dirge-like lament, then delves into deep recesses of pain, marked suddenly by two piercing outcries by the first violin. Then there is a return to the lament that opened the work, and this quartet closes with pizzicato from Geraldine Walther’s viola and Harumi Rhodes’ second violin, ending in a reflective mood. After intermission, the Takács Quartet returned to the stage to perform Felix Mendelssohn’s String Quartet No. 6 in F minor, Op. 80. As program notes remark, this late work by Mendelssohn may surprise the casual listener, for whom Mendelssohn is known as a gifted composer of light music lacking in emotional depth. Here, to the contrary, the work is full of pain and disillusionment. Mendelssohn’s beloved sister, Fanny, herself a gifted composer and pianist, had suddenly died of a stroke at age 41. Felix himself died prematurely within the same year. Is it any wonder, then, that the music of Mendelssohn’s last string quartet is full of anguish and pain? Opening with repeated tremolos, followed by three stabbing chords, this work aannounces its pain right from the outset. Moreover, at the close of this movement Edward Dusinberre’s first violin reiterates the stabbing chords as the rhythm accelerates and the music veers at the brink of chaos. The second movement features a brooding, obsessive motif that seems to run headlong toward disaster, though leavened by a quiet, unsettled central section. The third movement, an Adagio, offers profoundly beautiful music that could be interpreted either as a lament or, conversely, a song of gratitude and affirmation. But the final movement could never be taken for anything but an outcry of anguish and pain. The music is often angry, and towards the end the first violin, here performed in virtuoso fashion by Edward Dusinberre, shrieks its pain while the others join in dwelling on their collective grief. This was the Takács Quartet at their best, brimming with intensity yet ever precise in their musical cohesion. Errata: In last week’s review of the Takács Quartet’s February 24 concert, I included a note regarding the works to be played at their second concert, Sunday, March 3. Among the works cited, I mistakenly wrote ”the Mendelssohn quartet,” when I meant to say ”the last Mendelssohn quartet.” Somehow the word ”last” got omitted. I apologize for this lapse. Four meetings stand out as worth attending for important issues, Wednesday - Planning Commission, Thursday - Council Land Use in the morning , Council Infrastructure which includes Climate in the afternoon and Housing Advisory Commission in the evening. Agenda Highlights for the March 12 , 2019 City Council meeting are posted at the end.